I love mythical creatures! I don't think there is a fantasy reader anywhere that doesn't love at least some fantasy creatures. I was so excited when Erin chose this topic, but unfortunately for me, Erin and Laura already named some of my favorite fantasy creatures: elves, my second favorites, and dragons, my all-time favorites. I won't repeat what they said, since you can read their posts for yourself, but I will note a particular variation of each that I like in particular. Not many people realize that Pegasus is actually a proper name. Pegasus was a pure white winged horse in Greek mythology, the son of the sea god Poseidon and the Gorgon Medusa. When the hero Perseus cut off the head of the monster Medusa, Pegasus was born fully grown. Pegasus was the lightning bearer for Zeus and the friend of the Muses. After the gods Athena and Poseidon helped the hero Bellerophon catch Pegasus, Pegasus served as Bellerophon's mount and fought many other monsters, including chimera. When Bellerophon grew arrogant and attempted to fly up to Olympus, he fell off of Pegasus' back and died. Zeus placed Pegasus in the sky as a constellation. Throughout the Renaissance, Pegasus was a symbol of wisdom and inspiration due to his association with the Muses. 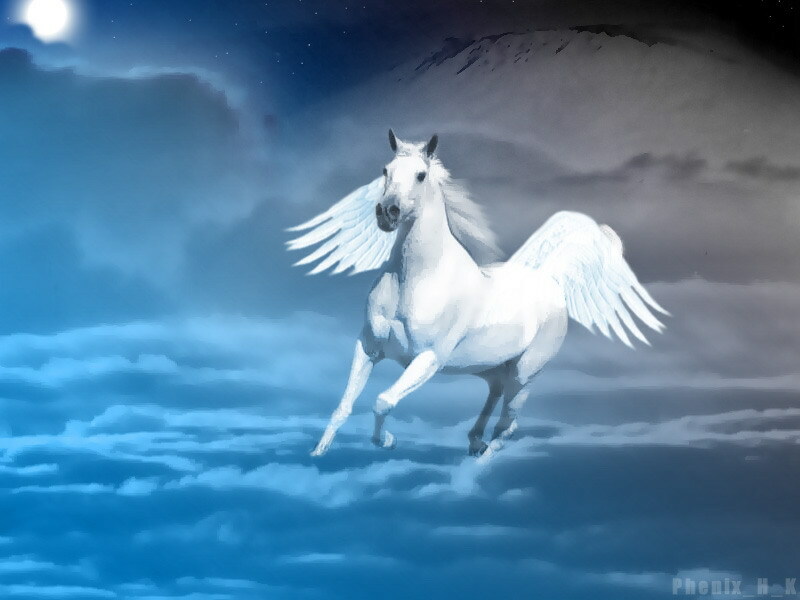 Modern winged horses are called "pegasus" after the original Greek creature. v8: If you lay a hand on it, you will remember the struggle and never do it again! v14: Who dares open the doors of its mouth, ringed about with fearsome teeth? v15-17: Its back has rows of shields tightly sealed together, each so close to the next that no air can pass between them. They are joined fast to one another, they cling together and cannot be parted. v18-21: Its snorting throws out flashes of light, its eyes are like the rays of dawn. Flames stream from its mouth, sparks of fire shoot out. Smoke pours from its nostrils as from a boiling pot over burning reeds. Its breath sets coals ablaze, and flames dart from its mouth. It breathes fire! Leviathan was a fire-breathing, water-dwelling, reptilian, fearsome monster. That certainly sounds like a dragon to me! "When it rises up, the mighty are terrified; they retreat before its thrashing." (v25). Indeed! In Norse mythology, light elves were the inhabitants of Alfheim (translated elf-home), also called Ljosalfheim (translated light-elf-home.) They were benevolent, magical, and eternally youthful creatures that served the gods. They could not touch cold iron or they would be burned. Dwarves were stocky, ugly, immortal metal-smiths. They lived in underground tunnels on Svartalfheim (translated black-elf-home). Dwarves lived underground because if they were ever touched by a ray of sunlight, they would turn to stone. Because they lived underground, they were often associated with death. Some scholars believe the beings called "Svartalfar" (translated black-elves) are synonymous with dwarves, and they argue that they were called "black" because they lived underground. Dark elves in Norse mythology, called Dokkalfar, were the hybrid children of these two races. They inherited both the light elves' weakness to iron and the dwarves' weakness to sunlight. Because of this, they lived underground with the dwarves. Many of them were considered evil pranksters who prowled the land at night and caused trouble, but not all of them were like this. Although some of them looked similar to traditional elves, other sub-species of dark elves were trolls, goblins, orcs, and more. These elves have a special place in my heart because they were the main inspiration for my current work-in-progress, and my only completed draft so far. Honorable mentions go to the phoenix, which Erin already posted about, unicorns, which Laura also posted about, and fairies, which can be so diverse and are interesting in all of their variations. Read Erin's post about elves, centaurs, and phoenixes here, and Laura's post about hippogriffs, dragons, and unicorns here. What are your favorite mythical creatures? Do you think dragons really existed? 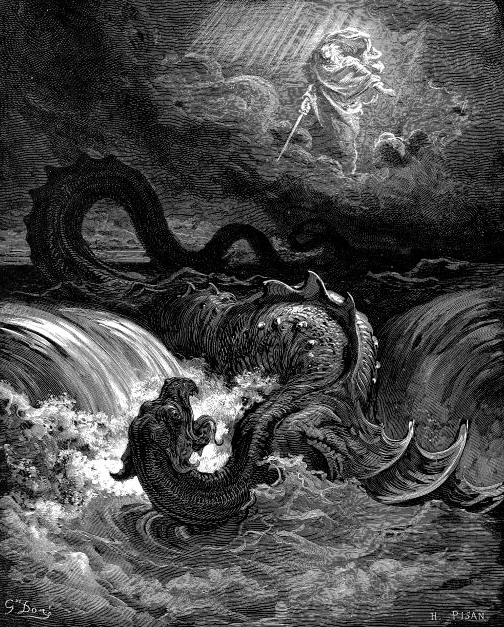 What do you think about leviathan, and the other great beast mentioned in Job 41, the behemoth? I encourage you to read Job 41 and check it out for yourself! Thanks, Hannah! It's fun to see the different variations in so many of the mythical creatures! Hannah, I just started reading the book of Job a few days ago- your timing is perfect. I tend to think that the Leviathan was a dragon, since God is describing it as a creature familiar to Job. While some of the descriptions are obviously metaphorical (I really don't think the creature had shields for scales! ), the part about breathing fire does not seem that way. Of course, we can't know for sure, but it seems likely. As for Behemoth, if you look carefully at the descriptions, it sounds a lot like one of the sauropod dinosaurs such as Apatosaurus or Camarasaurus. Again, we can't know for sure, but there certainly are no animals living today that match the description that well. Reading what you wrote about the Dark Elves helps me better understand the different groups among the Nyloth and Nyvern in your story. And I think it's really cool that "svart" means dark in Old Norse, because "schwartz" is German for black. Yeah, I noticed my mistake after I posted the comment. :) As for the Nyvern and Nyloth, I just meant that there were various "races" among the Nyvern with different traits, and they passed various combinations of traits on to the Nyloth.